Wyckes furniture stores in downtown San Diego, La Mesa, El Cajon, Santee, Lemon Grove, North Park, Hillcrest, Mission Valley, Bonita, Clairemont Mesa, Spring Valley, Chula Vista and National City. Our San Diego Sout store is in the heart of San Diego. Located Minutes from SDSU and Downtown. 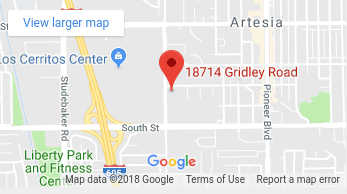 We are surrounded by San Diego, La Mesa, El Cajon, Santee, Lemon Grove, North Park, Hillcrest, Mission Valley, Bonita, Clairemont Mesa, Spring Valley, Chula Vista and National City. Located on University Ave. between College Ave. and 70th St. at 6331 University ave, San Diego CA 92115. We are conveniently located off the 8 and 94. If you are heading East on the 8, Exit College Ave. at the signal at the off ramp make s right onto College Ave, continue until you reach University Ave. make a left onto University Ave. we are 1/2 mile down on the right hand side. If heading west on the 8 Exit 70th St. at the stop sign at the off ramp make a left and then a left at the signal onto 70th St. continue until you reach University Ave. make a right onto University Ave.
1 mile down on the leftt hand side. Our San Diego South store is minutes from San Diego State and the Kroc Center. This location also serves as our warehouse and distribution center for San Diego with its central location and easy freeway access.